KGC Properties LLC ~ Property Management & Real Estate In Tucson! : 5726 5th Street Tucson Stunning Central Home For Lease. KGC Properties LLC ~ Property Management & Real Estate In Tucson! KGC Properties LLC is a local Tucson property management and real estate company. With over 24 years experience you will be pleased with our services, quality and prices. We are competitive, our fees are upfront, there are no hidden costs or surprises after you sign with us. We pride ourselves on personal and professional service! Visit us at www.KGCPropertiesLLC.com or email us @ KGCProperties@gmail.com for more information! 5726 5th Street Tucson Stunning Central Home For Lease. $1,100/mo, 4Bd/3Ba Single Family House, 1595 sqft. Truly unbelievably gorgeous home in central Tucson for lease! (Main home rents for $1100 a month - if you would like to include the studio guest house as well - that total rent will be $1300 a month). This home is completely remodeled ~ everything is new front top to bottom - gorgeous tile floors, granite counter tops, new appliances - in addition to the "newness" - the home has a front circular drive and carport, two separate laundry areas (one inside and one out), large covered patio, large rear yard, fireplace, dual pane windows, open floorplan - just a great home in an ideal location. The studio has it's own entrance and carport with kitchenette and tile flooring. The rent amount includes monthly yard maintenance - this truly is a house you will want to call home! Buying or selling Tucson real estate, Mt Lemmon, Tucson bank-owned homes, Tucson rental homes, or Tucson lease option homes? 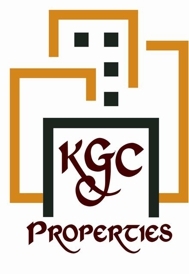 Visit www.KGCPropertiesLLC.com . This blog is written with my opinions and my opinions are presented with accuracy but not guarantees. Please talk to a professional before making any real estate, financial or agency decisions. Gabrielle Kamahele Rhind - 2014. If you want to reprint parts of this - just email me for my permission: KGCProperties@gmail.com . Post © 2019 Gabrielle Kamahele Rhind, Broker/Owner (KGC Properties LLC, Tucson Property Management & Real Estate). Design © 2019 ActiveRain, Inc. All rights reserved, Inc.